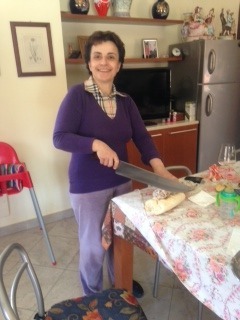 One of the many amazing things about the women of Piemonte’s wine families is their uncanny ability to multitask. And one of the all-time multi-tasking greats is Mamma Luciana Grasso of Ca’ del Baio’s Grasso family. 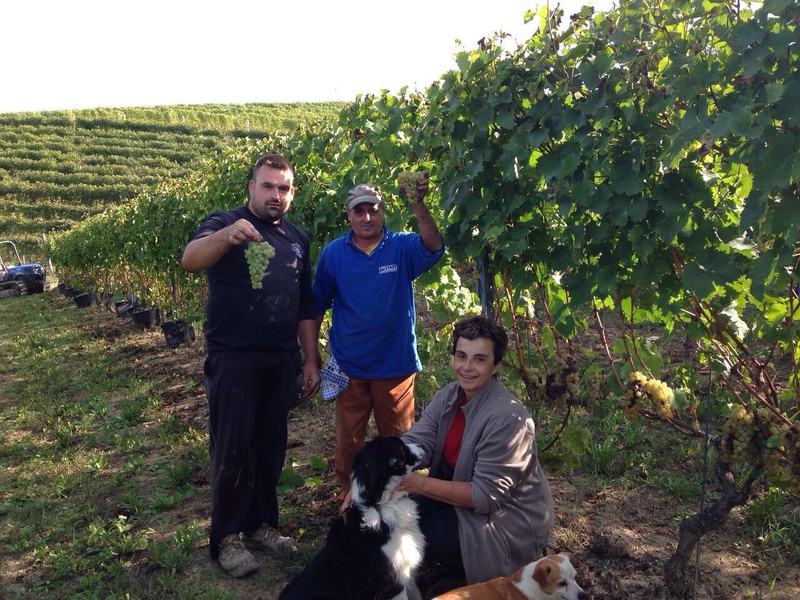 Luciana Grasso and her canine companions Pora (left) and Milo in the Moscato vineyard during vendemmia 2014. 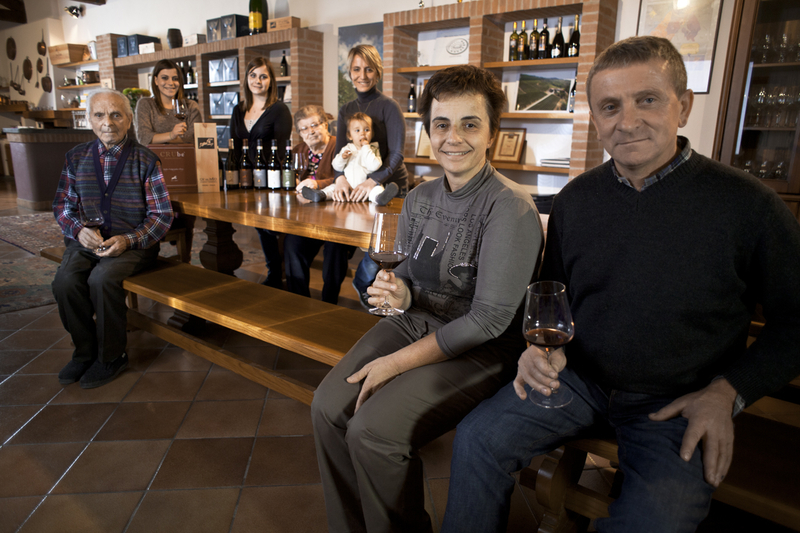 With husband Giulio and their three daughters Paola, Valentina and Federica, Luciana runs the winery at their Treiso estate in the Barbaresco denomination. 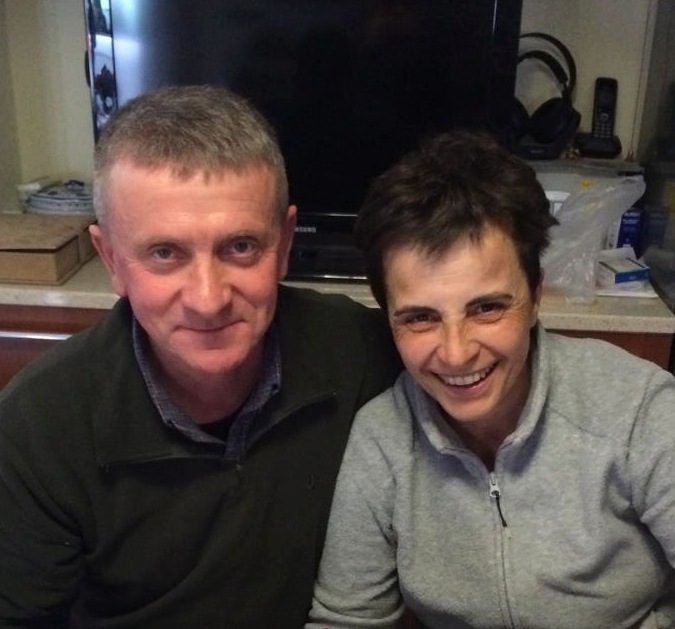 Partners in wine and life, Luciana and Giulio Grasso. Her multi-tasking jobs include running the business side of the winery, taking care of the household, tending to two very active granddaughters, Lidia and Anna Deltetto, and now, raising goats as part of her future cheesery. 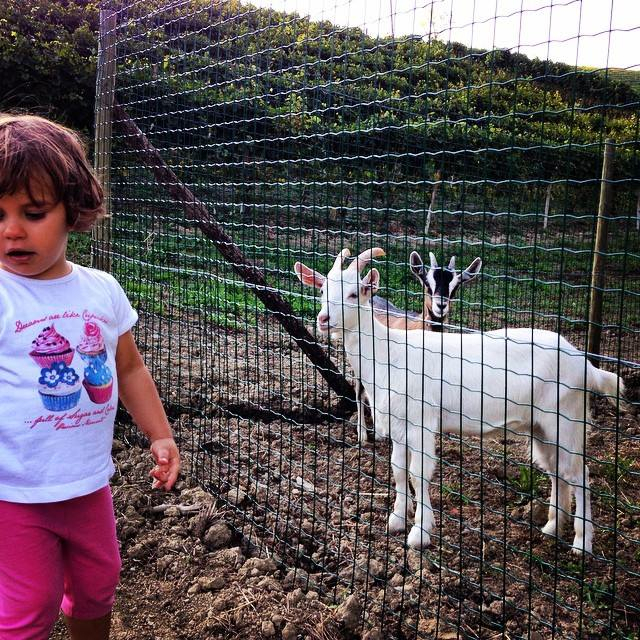 Luciana’s granddaughter, Lidia Deltetto, with Luciana’s newest addition to her menagerie – goats. Never far behind Luciana, is Milo, trusted Jack Russell mix, and Pora. Rocky II has been sent to prison on the winery grounds after raiding the chicken coop. 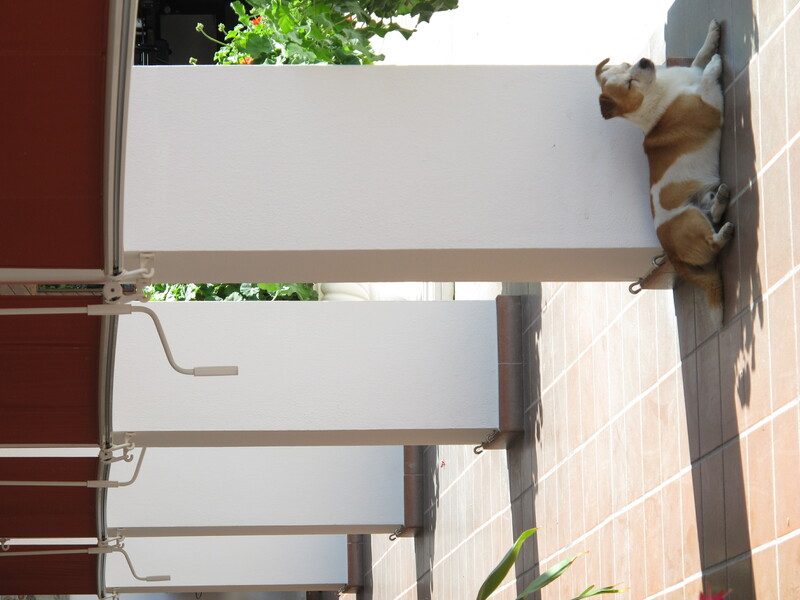 Milo Grasso, Luciana’s trusted constant companion and guardian. The most recent two-legged additions to the Grasso family are daughter Paola and son-in-law Carlo Deltetto’s lovely daughters Lidia and Anna Deltetto. Luciana’s son-in-law Carlo Deltetto with his two daughters, Lidia and infant Anna. Of course, an army marches on its stomach and at Ca’ del Baio Luciana does a wonderful job keeping everyone’s bellies full and taste buds delighted. Her cuisine was born to pair with the luscious wines of the estate. Luciana in her kitchen. Like the saying, “Don’t mess with Texas,” Luciana is a fierce protector of her brood. But a very cheerful one. Walk softly and carry a huge knife! Luciana’s biggest contribution to the family’s wellbeing is the love she showers on her family and friends. 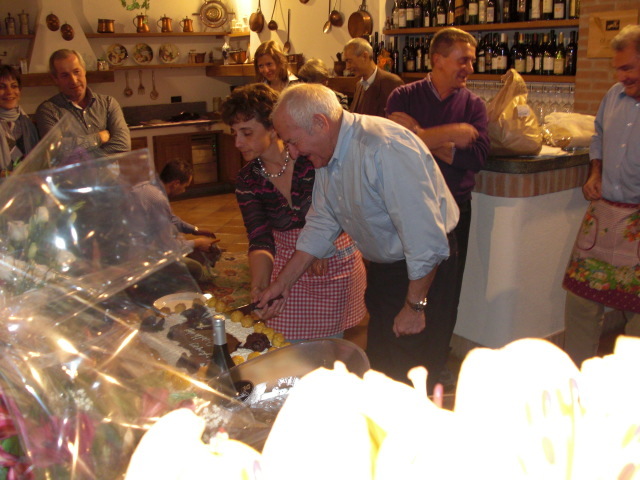 Luciana and my husband Dani, surrounded by family and friends in the winery’s tasting room, celebrating their birthdays together in 2008. In all, she’s a Barbaresco treasure, carrying forward the traditions of the past and linking them to the future. 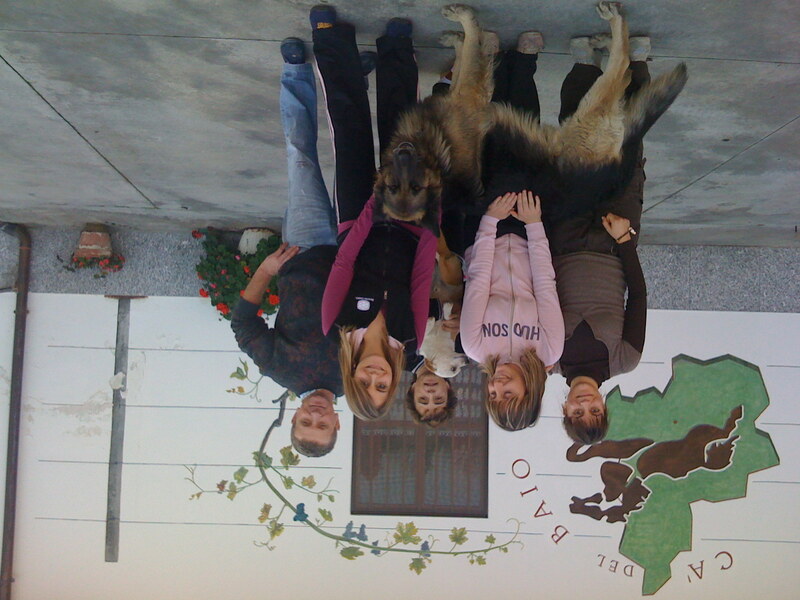 Luciana and Giulio Grasso with four generations of Grassos in the Ca’ del Baio tasting room. 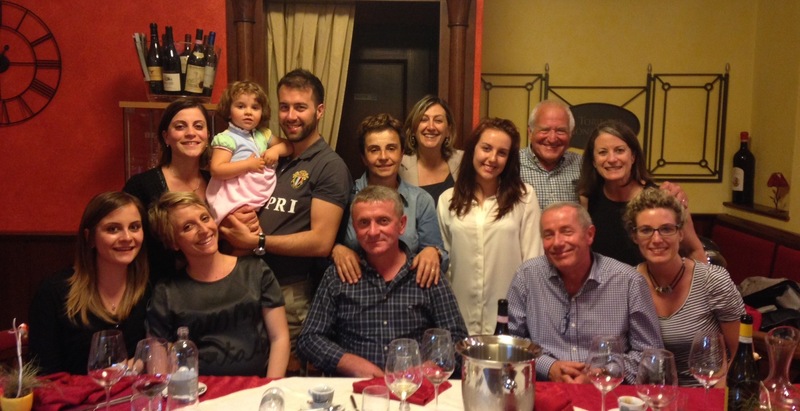 My husband Dani and me (right, back row) enjoying a great evening with our two adopted Piemontese families – Grasso and Deltetto. That’s Luciana and Giulio in the center.